Take your beat-making to the next level with ROLI Beatmaker Kit, an expressive and portable music studio. The Beatmaker Kit centers on the Lightpad Block, ROLI’s next generation drum pad controller. Play beats, melodies and more on its customizable, touch-responsive surface. Produce your tracks faster with the included Loop Block. Beatmaker Kit comes with hundreds of sounds and a bundle of high-powered music software for bringing your beats to life. It also includes a 6-month subscription to the Melodics learning program, so you can improve your finger drumming skills. 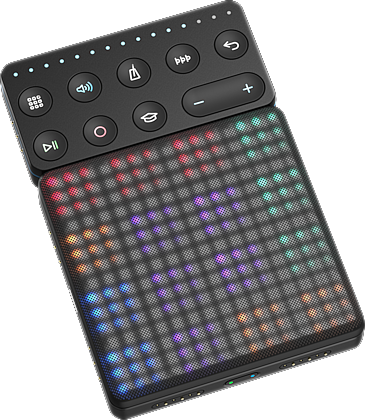 Lightpad M is the most advanced version of ROLI’s award-winning Lightpad Block. Dimpled with 225 micro-keywaves for precise and expressive performance, the Lightpad M surface lets you play any sound from drums to synths to cinematic atmospheres. It features an all-purpose surface designed for both performance and production, with soft silicone that puts deep musical expression right at your fingertips. You can quickly reconfigure the LED-illuminated surface grids to control different sounds, scales, and effects. Small and wireless, it is easy to take anywhere you make music. Lightpad Block M works as a standalone MIDI controller or as a connected part of the modular BLOCKS system. The Loop Block helps you produce tracks faster and more spontaneously with ROLI BLOCKS. Record loops, play them back, or undo your recordings. Set your tempo, and quantize your loops so they’re always in time. These studio techniques for building a track are right at your fingertips, so you don’t need to interrupt your flow by delving into software menus. 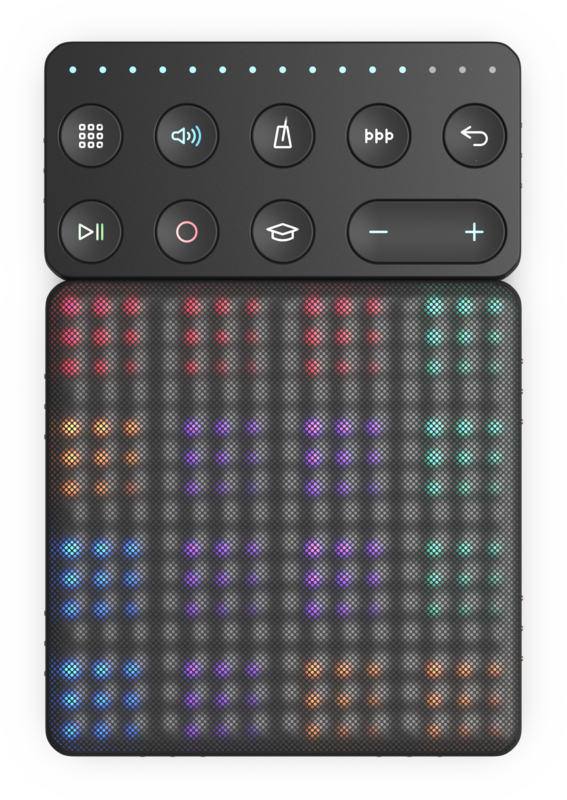 Loop Block is a companion Block that only works when connected to ROLI’s Lightpad Block or Seaboard Block. No matter what your level of experience, Beatmaker Kit is bundled with an extensive set of software programs for desktop and mobile for to help you start making better songs and tracks. Jam along to interactive lessons to build up your Lightpad Block and Loop Block skills with Melodics, an online educational platform. Enjoy bespoke integration with Beatmaker Kit and explore over 30 courses and 400 lessons. 6-month free subscription included. Sketch your musical ideas and start building tracks with NOISE, a free app that includes hundreds of sounds. NOISE pairs wirelessly with Beatmaker Kit, so you can play anywhere you have a connected device. Browse 200+ free expressive sounds on a desktop sound player based on Equator, ROLI’s flagship soft synth and sound engine. Discounted upgrade price to the full version included. 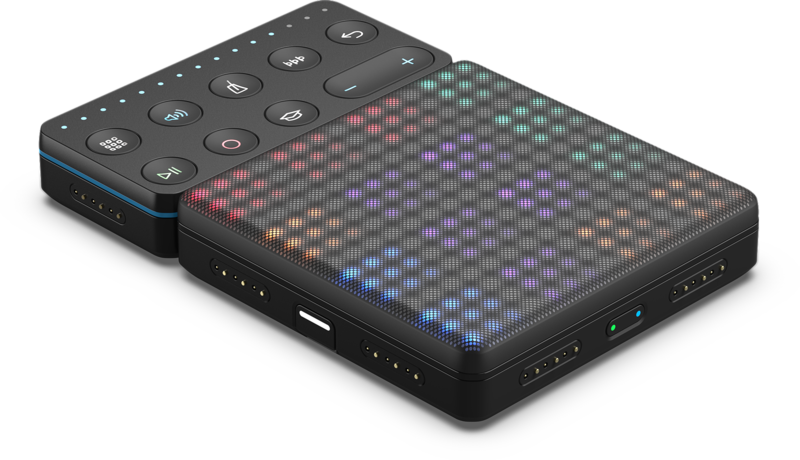 A desktop sound player version of the acclaimed Strobe2 polysynth from FXpansion. Play 50 expressive presets on the Beatmaker Kit and explore 3 macro controls. Discounted upgrade price to the full version included. A desktop sound player version of the premium Cypher2 software synth from FXpansion. Discounted upgrade price to the full version included. zZounds is an authorized dealer of ROLI products. - Melodics subscription (6 months) with 30 courses and 400 lessons to explore. Melodics integrates seamlessly with Beatmaker Kit so you can improve your skills.